Bold and Beautiful – that’s what this arrangement says. 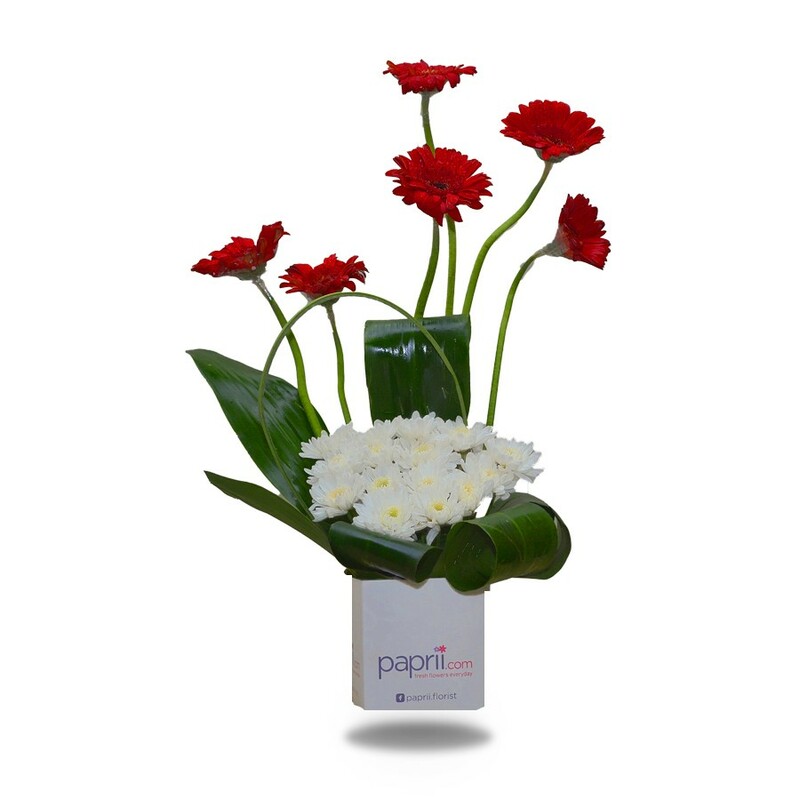 “Crimson Crest” is a bouquet which speaks confidence and devotion. 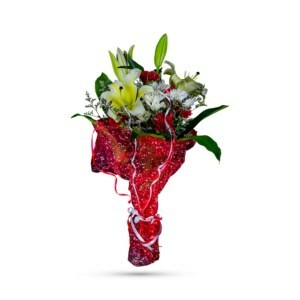 It’s the perfect bouquet for anyone and any occasion. 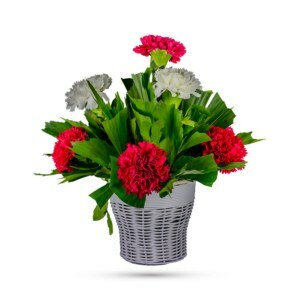 This artistically arranged bouquet features Gerberas and white chrysanthemums accented with the seasonal rich green leaves. Anyone will fall in love with this pretty, bold bouquet. It’s a fresh mix they’ll adore for any occasion – Mother’s day, Father’s day, Office parties and many more. 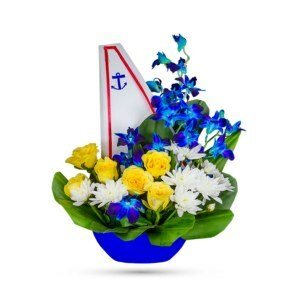 It is available to order on our website which will be lovingly hand-delivered by our local florists. 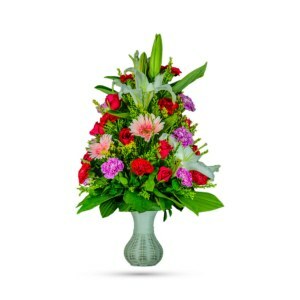 No one can resist the beauty of this bright and beautiful bouquet, so order today!